Freedom Grip Plus® adjustable height bed rail is great for thick pillow-top mattresses. The Freedom Grip® Plus has a comfortable, cushioned grip. 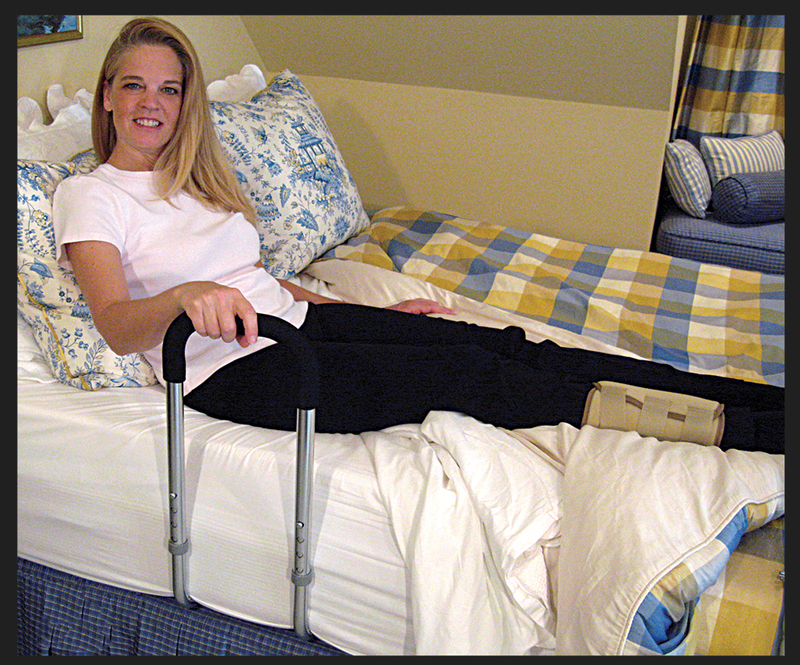 It will help you get in and out of bed comfortably, while reducing the risk of falls. The Freedom Grip® Plus also serves as a reminder of where the edge of the bed is, and is useful in helping you turn over, reposition, and sit up in bed. Fits any sized home style bed. Handle with cushioned non-slip cover. Makes getting in and out of bed easier. Assists in moving in bed. Helps those with back pain. 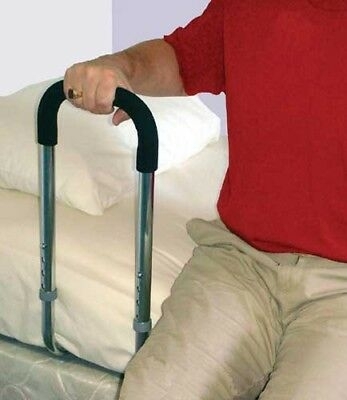 Aids transfer to wheelchair or bedside commode.